In a few short weeks we will get to see Google’s new Gmail. The team behind Google is all set to release a new design for the mail interface. 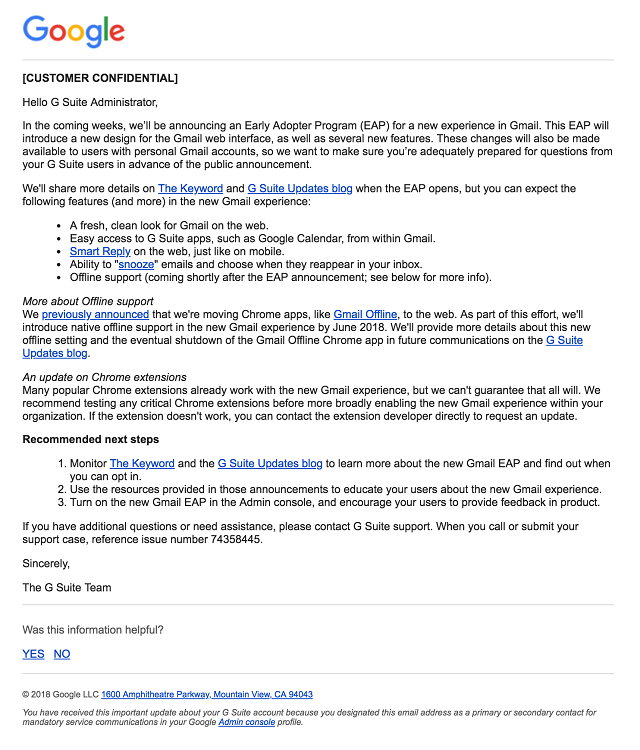 A mail has already been sent to Google’s G suite customers telling them about a new and fresh design for Gmail. Besides the fresh new design, G mail users will also get new features to go along with it. This new update is long overdue but at least it’s here.Apart from the design upgrade, Gmail users will now benefit from some added features such as getting Google Calendar in the G mail interface, a confidential mode, the ability to snooze emails, the ability to view emails while offline and smart replies that was already present on smartphones but now will be available on the desktop as well. 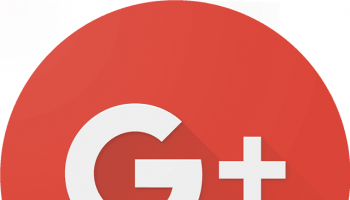 Users can now access Google Calendar from G mail itself. You can now set appointments right next to emails. 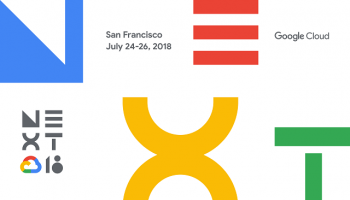 This new design will make Google calendar more accessible to users while reading emails. A screenshot taken from the Verge shows a Gmail design where Google Calendar is placed as a sidebar at the left hand side of the screen. In the design the sidebar can be customized to show a Calendar or to keep or tasks to be done. 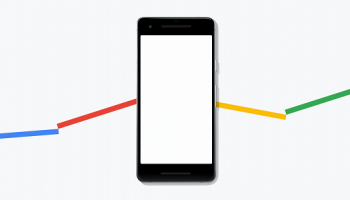 The snooze feature which was already present in the Gmail app for phones will now rollout to the desktop versions as well. This feature in G mail will allow you to pass on or receive emails hours or days later. This feature will allow you to clear out unwanted emails before you receive more. 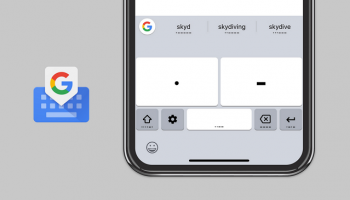 While this feature may already be present in smartphones, Google plans on bringing out this feature to the desktop version as well. These algorithmically designed replies will now be available on the desktop version of G mail as well. Google is now planning on getting emails to be stored in your browser for offline reading. Google will use standard web technologies to do this as they are slowly phasing out Chrome apps. G mail will have a confidential mode that will prohibit users from forwarding, copying, downloading or printing certain emails, received from certain people. There will also be a passcode enabled email viewing, whereby a password or OTP will be sent to open certain messages. Another feature of this confidential mode is that there will be expiry dates on certain emails too. This all will help businesses in taking care of how their emails are treated by the recipients. But this would not stop people from taking screen shots of the message before it is deleted unless there is software in place to prevent screenshots from being taken. There will be a sidebar to the right hand side of the inbox that will now contain features like the Google Calendar. You will also be able to change the way you view Gmail, there is a compact version, a comfortable option and a Default version.